If you are about to turn your idea into an exciting new business, you’ll be in the midst of planning all manner of things. What about finance though? Here are our top 6 ways of securing and managing business finance for you to consider. You may feel getting finance for your business is a little daunting. It needn’t be. There are a number of options available to you. What’s best will depend on your specific business needs. It’s not just about getting upfront capital either, it’s about how you most effectively use your money too, ensuring you make your money work most efficiently for your business. This is basically credit, usually cash, that you borrow and repay over an agreed length of time. Banks, other businesses or perhaps friends and family can help you with a business start up loan. 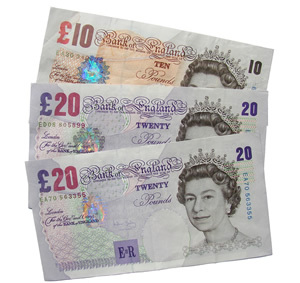 Be aware that as well as repaying the amount you’ve borrowed, you will invariably have to pay interest on a loan. The amount of interest will be based on factors such as how long you need the loan for and how much you need to borrow. It will also be dependent on whether the loan is ‘secured’ (e.g. on an asset such as your property) or ‘unsecured’. You can either fix your interest for the period of the loan or keep it variable and linked to either the Bank of England base rate or the bank’s cost of borrowing. On the plus side, you won’t need to pay a grant back or pay interest on it, however, you’ll face a lot of competition and you need to accept that grants are almost always awarded for a specific purpose or project. This is a credit facility you can agree with your bank which enables you to temporarily spend more than you have in your account to cover short-term financing needs. This is not an option if you need long-term finance . You’ll usually be charged interest on any money you use within your overdraft facility, and may also have to pay a fee. This is also known as equity finance and involves selling part of your business (‘shares’) to an investor. The investor will then take a share of any profits or losses that the company makes. Quite a complicated option and one which you’d certainly benefit from getting professional advice on. Leasing or renting assets such as office equipment can save you the initial costs of buying them outright. This is widely available and the interest rates on monthly instalments are usually fixed. 6. Make your Money Work for You. Once you get your business underway, if you regularly have credit balances on your bank account, choose a business savings account to make your money work harder for you. Don’t just leave it in your current account. Most business current accounts only pay a very low interest rate but if you set up a suitable savings account you can usually get a much better rate. This is particularly so if you can invest your money for a longer period of time, perhaps up to a year. Even if you can’t commit for this length of time, using an instant access or notice period account will help. Why Is It a Good Idea to Allow Personal Injury Specialists to Take On Your Claim?